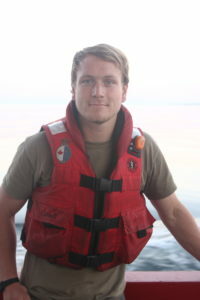 Peter Van Buren is an Oceanographic Technician at the Institute of Ocean Sciences in Sidney, B.C. While aboard the Canada C3 vessel, Peter will be involved with a variety of water sampling projects as well as other forms of oceanographic sampling. When not preparing for Arctic research trips, Peter spends his time on the water either sailing, surfing or spearfishing in the Pacific Northwest. His travels have taken him to coastlines around the world and he is looking forward to exploring Canada as member of the Canada C3 expedition.